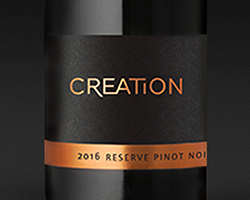 While earlier vintages of Creation’s Pinot Noirs were more modern and powerful, JC Martin’s new-release 2017s have ‘better definition and focus’ says Neal Martin. The purity of fruit and fine aromatics are what makes these 2017s most striking. 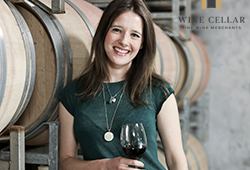 In fact, we will go as far as saying that these two Pinots are two of SA’s finest and most exciting. 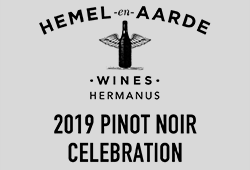 As Creation’s 60,000 annual visitors will attest, this spectacular winery at the end of Hemel-en-Aarde Ridge has something special. With vineyards at 300m above sea level and a long, cool growing season, their unique terroir is envied by winemakers around the world. The 2017 Reserve Pinot Noir is the result of very strict vineyard selection and bursts with sumptuous fruit and a mineral core. 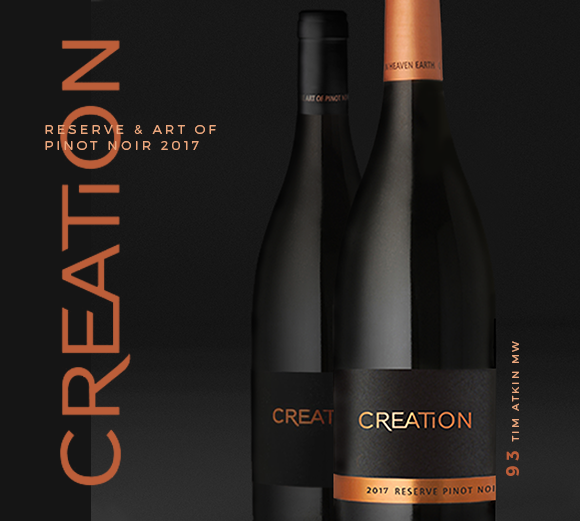 The 2017 Art of Creation Pinot Noir arises from a small ‘gem-of-a-pocket’ within a single vineyard block. With 30% whole-bunch fermentation, it offers deeper texture and mind-blowing complexity. 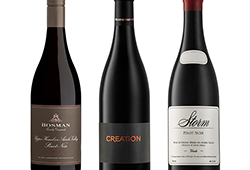 The 2015 Reserve won last year’s Winemag Pinot Noir Report, while the 2015 Art of Pinot Noir won this year. 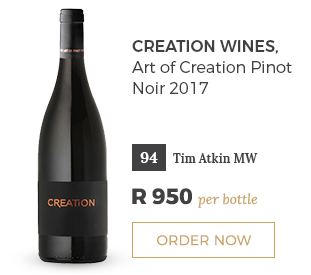 The more muscular 2016 Art of Pinot Noir was given a Platter’s 5-Star. 2017 will be etched in history as a truly great Cape vintage and it has been exceptional for the Creation Pinot Noirs.